GPBi-CG method is an attractive iterative method for the solution of a linear system of equations with nonsymmetric coefficient matrix. However, the popularity of GPBi-CG method has diminished over time except for the minority. 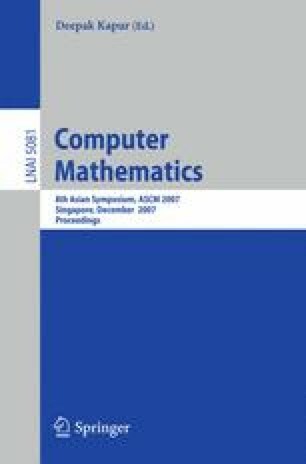 In this paper, we consider a new algorithm based on minimization of the associate residual of 2-norm in place of reconstruction of the algorithm. We refer to a method with new algorithm as GPBiCG with Associate Residual (abbreviated as GPBiCG_AR) method. Moreover we will introduce preconditioned GPBiCG_AR (abbreviated as P_GPBiCG_AR). Then, we will support that GPBiCG_AR and P_GPBiCG_AR methods yield safety convergence through numerical experiments.